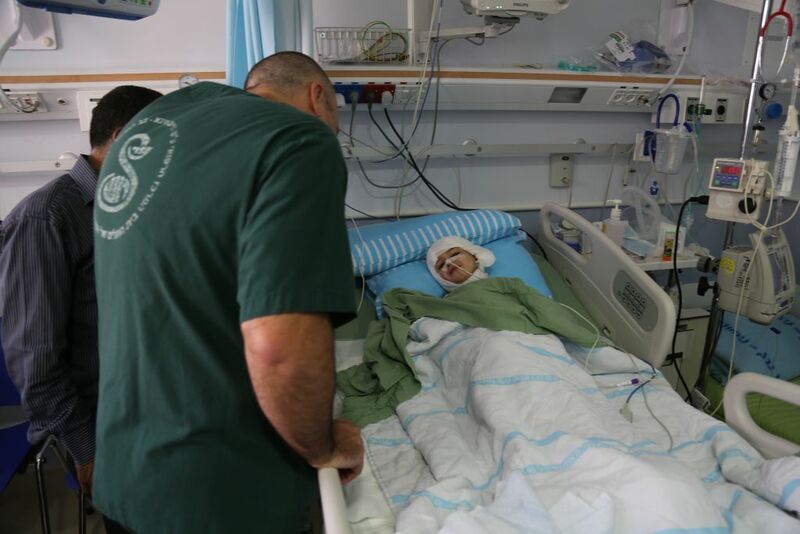 Sixteen years after Hussein Dawabsha was employed as a construction worker at the Sheba Medical Center in Tel HaShomer, he returned for the first time under tragic circumstances he never imagined possible. 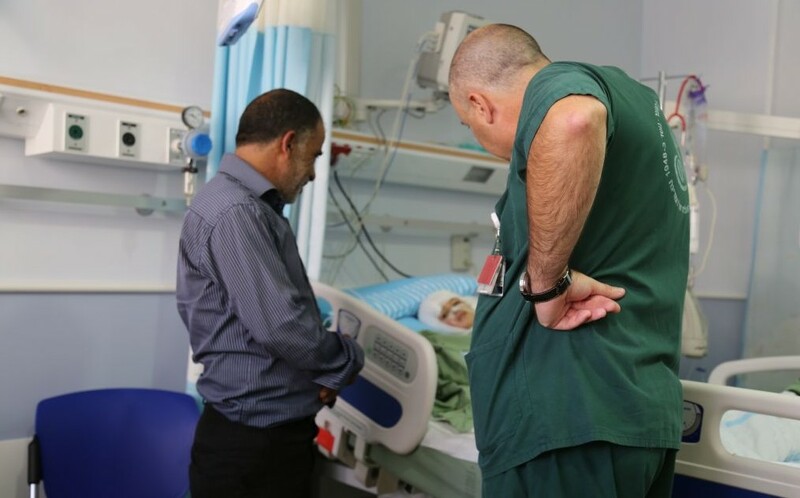 For the past three weeks, Dawabsha has been spending every day in Israel’s largest hospital with his five-year-old grandson, Ahmed, whose entire body is wrapped in bandages with 90 percent burns. Ahmed’s hospital room has people coming and going – mostly family, but occasionally activists volunteering to help the Dawabshas get through the reality of living in a nightmare. 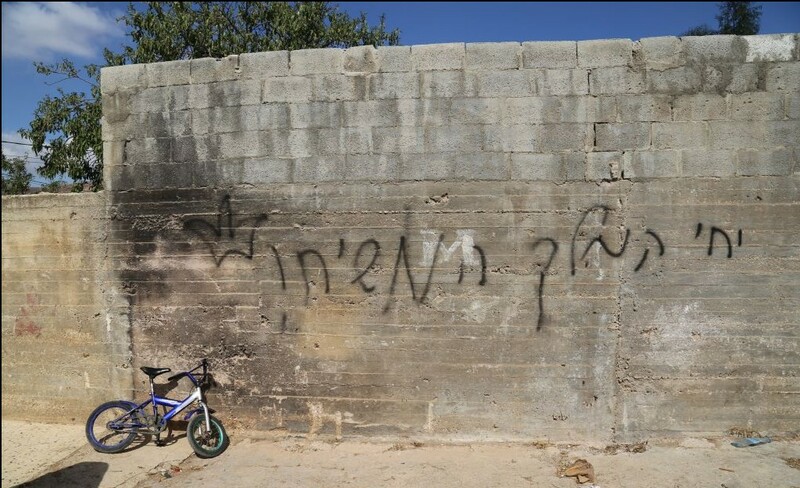 On July 31, Ahmed’s home in the West Bank village of Duma, south of Nablus, was firebombed in an attack suspected to have been carried out by Jewish extremists; the assailants spray-painted “revenge” and “long live the Messiah king” on the exterior walls of the house. 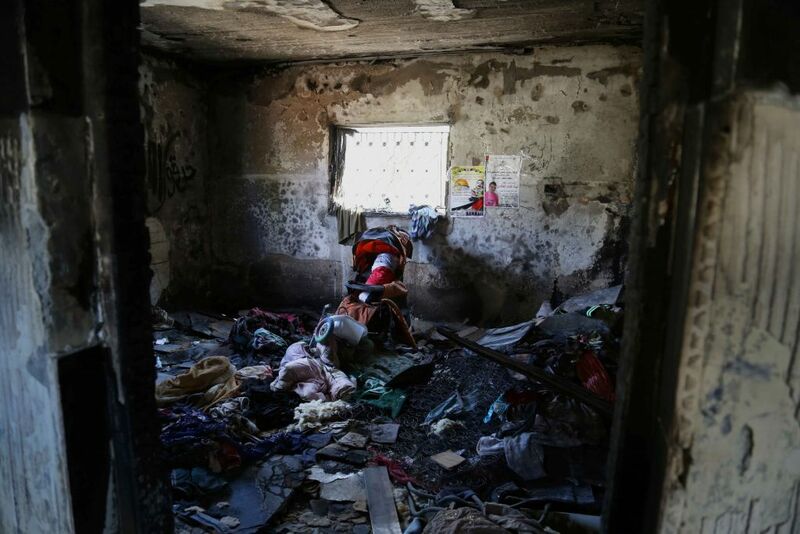 Ahmed’s younger brother Ali, who was 18 months old, died in the fire; his father, Saad, died a week later, succumbing to his wounds; and his mother, Riham, remains in grave condition in a separate unit at Sheba. Since their admission to Sheba, Hussein, 51, travels back and forth between two hospital rooms, but spends most of his time with Ahmed. “My daughter cannot talk, she cannot communicate, but little Ahmed is so scared and in so much pain, he needs me more,” he said. Ahmed does not yet know what happened to the rest of his family. All he knows is that there was a fire in his home, and that he, his parents and his brother were burned. But no one has yet explained to him the nature of how the fire came about, nor the tragic fate of his father and brother. That response was advised by the child’s doctors. They told the family not to tell Ahmed anything that might scare him further, hoping to spare the child more emotional pain in his already-fragile state. Since the attack, Israeli security forces have issued three administrative detention orders for men suspected to be involved in Jewish terror networks, but have yet to apprehend the perpetrators. That is a source of much frustration for the Dawabsha family. “How much longer will these murderers roam free while my Ahmed and Riham lie here in agony?” Hussein said. Meanwhile, the human consequences of the attack have also changed Hussein’s life. A construction worker in the settlement of Ofra, just north of Ramallah, he currently devotes his entire day to his grandson, which, he said, will continue as long as necessary.